Finding your holy grail of products from one personal care brand can be so hard. With so many products from different brands on the market, we can’t help but mix-and-match. 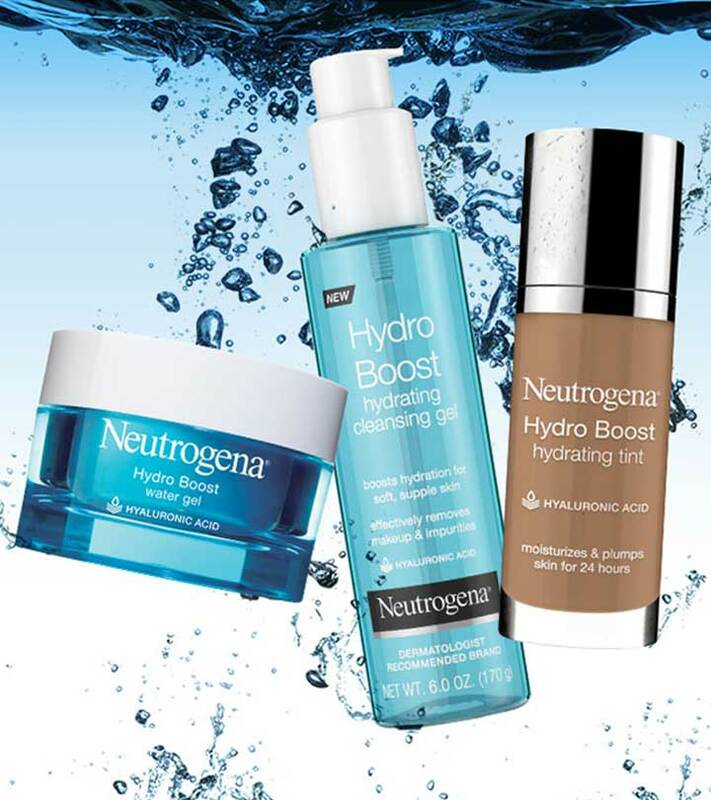 But if you could only pick one brand to get all your products from, it is hard to do better than Neutrogena. Simply because Neutrogena provides effective solutions to every end of your routine including acne, hair, skin, bath, and cosmetics. In this article, I’ve put together a list of the 10 best Neutrogena products for personal care. Keep reading to find out what products have made it to the list. 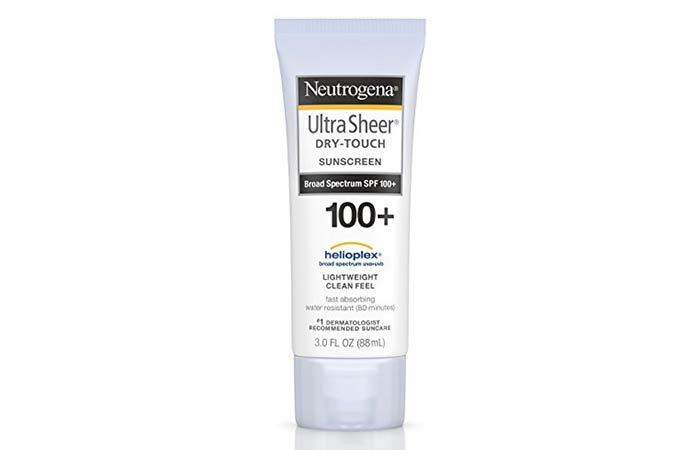 Neutrogena’s Ultra Sheer Dry-Touch Sunscreen Lotion with Broad Spectrum SPF 100+ is officially recommended by the Skin Cancer Foundation as an efficient sunscreen. Its helioplex formula is built with stabilized sunscreen technology that offers maximum sun protection. The light formula has a fresh scent and is water resistant. The sunscreen, unlike most, has an ultra sheer, non-shiny finish and leaves your skin feeling soft and smooth. Easily absorbed by your skin. Does not leave a white cast. This day cream by Neutrogena helps minimize wrinkles, fine lines, and other visible signs of aging. With regular use, the product helps you achieve healthier and younger looking skin. Formulated with retinol and multivitamins, the cream nourishes your skin while protecting it from sun damage with its SPF 15 sunscreen. Not only that, but it has also been clinically proven to help soften and smooth out skin. Might not suit extremely dry skin. 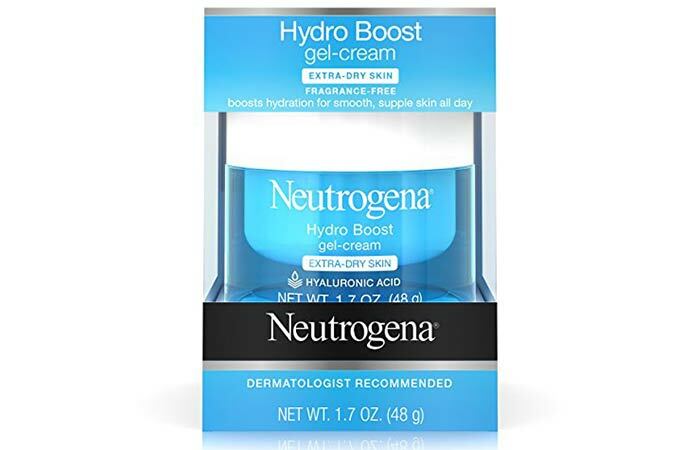 Neutrogena’s Hydro Boost Gel Cream is a lightweight gel-based formula that intensely hydrates your skin. The oil-free moisturizer contains hyaluronic gel, which helps conserve, deliver, and restore moisture to your skin. Formulated with glycerin and olive extracts, the product helps moisturize and nourish your skin to leave it feeling soft, healthy, and supple. It also helps improve skin texture and elasticity. Soothes sunburns and aggravated skin. Primes your skin for makeup. Might not suit extremely dry skin types. 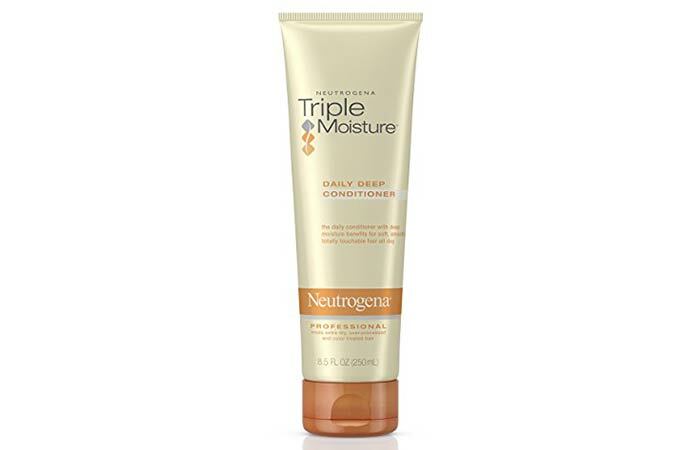 Neutrogena’s Triple Moisture Daily Deep Conditioner helps restore the moisture balance in your hair. The product is specially formulated for extremely dry hair and helps improve hair texture, making it smooth, soft, and manageable. The brand claims that you will notice improvement with every use and that the conditioner will help repair severely dry or overprocessed hair. It also helps control frizz and flyaways. Leaves your hair feeling silky and smooth. The packaging allows for efficient and non-messy dispensing. 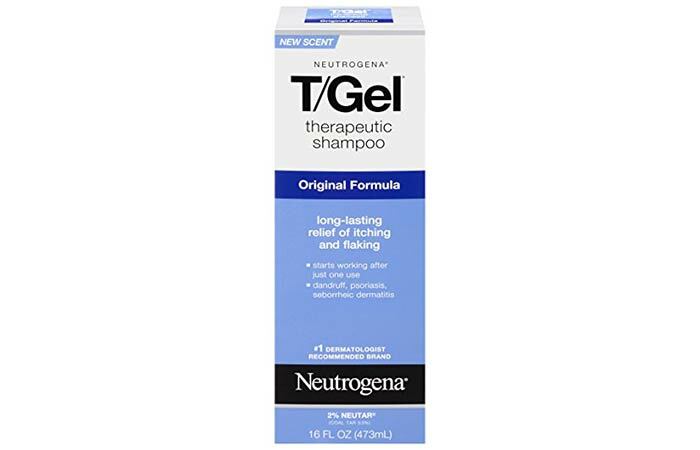 Neutrogena’s T Gel Therapeutic shampoo helps give you lasting relief from issues such as flaking and itching. It is completely safe for daily use, making it perfect for anyone who swims or sweats a lot at the gym. It also helps soothe issues such as psoriasis and seborrheic dermatitis. The shampoo can also be used once a week to help control dandruff and itching. Cleans your scalp and hair efficiently. The formula is not harsh, unlike more dandruff shampoos. Soothes your scalp, especially if you have issues such as psoriasis. The smell of tar can be off-putting for some. 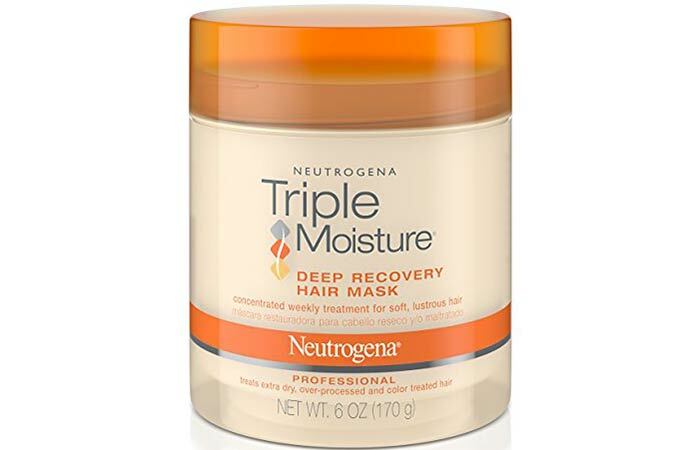 Neutrogena’s Triple Moisture Deep Recovery Hair Mask helps rehabilitate your hair. Especially formulated for extremely dry or over-processed hair, this product is an intensive hair repair treatment. The mask helps transform dull, dry hair into lustrous, soft, shining locks within a matter of minutes. Enriched with extracts of olive, meadowfoam seed, and almond, it helps nourish and hydrate your hair, reducing frizz and making your locks more manageable. Improves hair health and texture. Specially formulated for extremely dry hair. 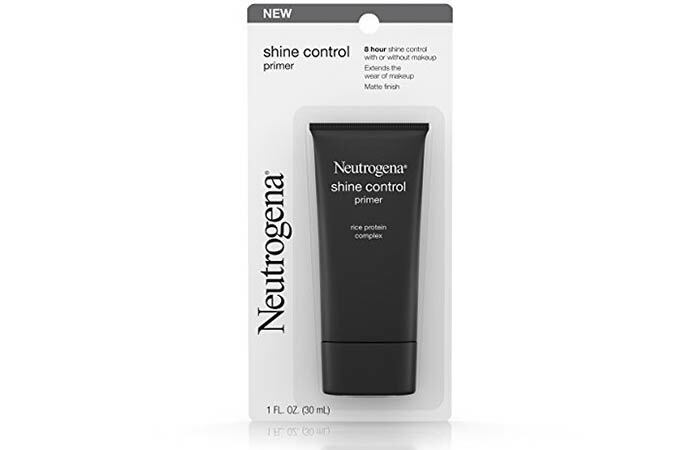 Neutrogena’s Shine Control Primer helps control shine and keeps your makeup looking fresh for a long time. The product perfectly primes your face so that your makeup goes on smoothly and lasts longer. It minimizes the appearance of pores and its rice protein technology helps absorb excess oils to keep your face grease-free. The formula is light and non-greasy. Perfectly primes your face for makeup. 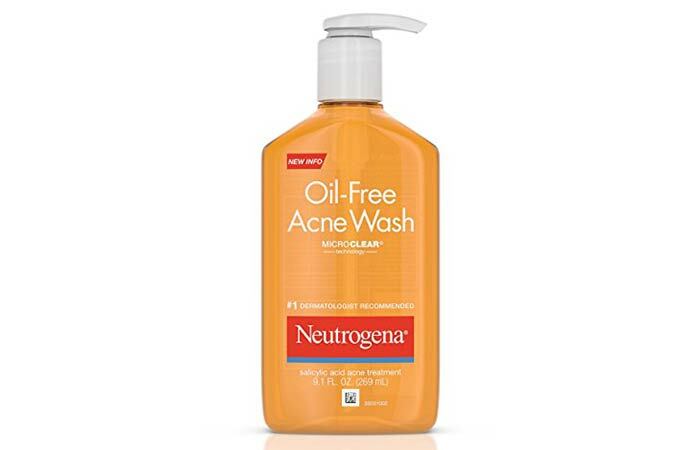 Neutrogena’s Oil-Free Acne Wash is one of the best acne-fighting facial cleansers on the market. 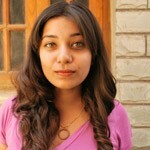 The product is specially designed for oily and acne-prone skin types. It gently cleanses your skin, removing excess oil from your pores to prevent clogging and breakouts. The product’s Micro-Clear technology has been clinically proven to help boost the salicylic acid’s performance when it comes to cleaning up acne and blackheads. Nice consistency – not too thick or runny. Neutrogena’s Natural Fresh Cleansing + Makeup Remover is a 2-in-1 formula that cleanses your face and removes makeup in one simple step. The product is specially formulated to be gentle on your skin, especially the eye area. It helps remove all traces of makeup all while helping strengthen your skin’s moisture barrier. 86% of ingredients in this product are derived from natural sources. Simplifies the makeup removal process. Has a pleasant and refreshing fragrance. 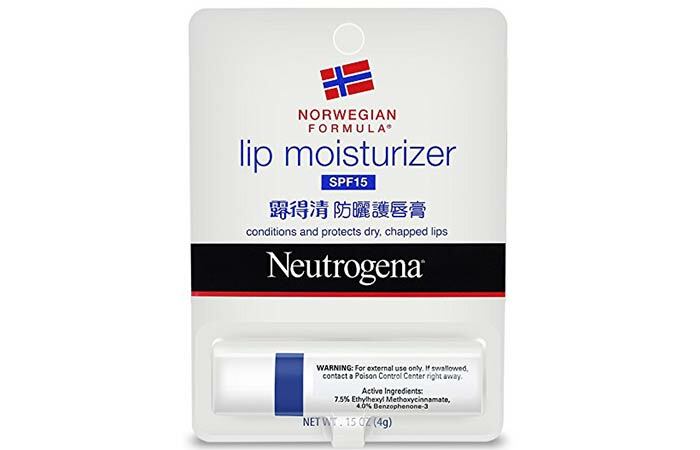 Neutrogena’s Norwegian Formula Lip Moisturizer glides onto your lips and keeps it hydrated for long periods of time. The chapstick comes with an SPF value of 15 and helps prevent sun damage while also moisturizing your lips to make them smooth, soft, and healthy. Perfect consistency that feels light on the lips. 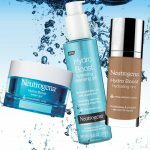 With this list of best Neutrogena products, all of your personal care needs are sorted! Are any of your favorite products on this list? Tell us about your experience with Neutrogena in the comments section below.